To obtain higher income, quality maize grains, and improve the livelihoods of farmers, the AgResults Aflasafe™ pilot project held its year 5 implementer induction and training workshop on 4–6 April, for both old and new implementers at IITA in Ibadan. The meeting aimed to educate, equip, and create a platform for interaction between the old and new implementers for knowledge sharing. Kenton Dashiell, IITA DDG, Partnership for Delivery, addressing the implementers during the training workshop. Speaking at the opening event, Kenton Dashiell, IITA Deputy Director General, Partnerships for Delivery, commended the effort of the private sector in facilitating the adoption of Aflasafe and working with smallholder farmers to increase the productivity and profitability of their aflasafe-treated maize. 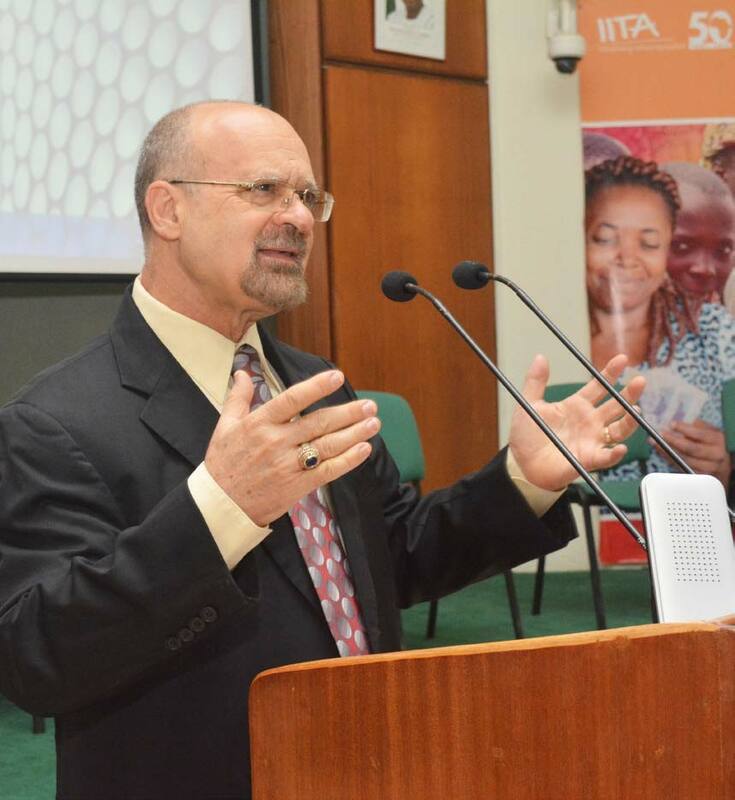 While reiterating IITA’s commitment to supporting and providing solutions to farmers and ensuring global food security, Dashiell said: “The production, marketing, and commercialization of the product has been our major target, as the implementers have been supportive, not only by words but in action. I urge all participants especially the new implementers to learn, share knowledge, and exchange ideas so that by the end of this 3-day gathering, you will all be on the same level with the old implementers,” he added. Corroborating Dashiell’s statement, Debo Akande, AgResults Project Leader for Nigeria, stated: “I am quite impressed and elated because we are not only contributing to practice but also to robust knowledge sharing to enhance full implementation of the project. Although the project is coming to an end by next year, I am convinced that you all can drive the innovation delivery for better development impacts over a long period of time.” He went further to describe the training as a unique model to advance the biocontrol of aflatoxin among Nigerian farmers through the involvement of market players, the private sector, and other key stakeholders in the maize value chain and ensure sustainability of Aflasafe adoption. Debo Akande, AgResults Project Lead, giving a presentation at the AgResults Year 5 implementer induction and training workshop at IITA. Aflatoxin contamination is a menace affecting over 4.5 billion people in developing countries. On that basis, the AgResults Aflasafe™ pilot is making specific interventions in the form of biocontrol mechanisms, to control and prevent aflatoxin contamination and pilot the dissemination of the Aflasafe product to key stakeholders. This approach significantly improves the security and quality of agricultural produce and increases trade opportunities for stakeholders all along the value chain. During the plenary session, presentations were made on aflatoxins, Aflasafe and its benefits, preharvest management of aflatoxin and aflasafe management, maize agronomy for increasing productivity, postharvest safety precaution to maintain grain quality, linking the downstream to the upstream maize production, fostering a sustainable market for aflatoxin-reduced maize, and doing agriculture as a business. The AgResults Aflasafe pilot implements a pull mechanism to encourage agricultural enterprises to adopt Aflasafe technology, towards the management of aflatoxin contamination in maize production. The project has successfully supported market-driven agriculture through private sector engagement in aggregation and marketing of 129,896 tons of maize which represents over 60% of the total production of 216,493 tons. The smallholder farmers also enjoy commensurate premiums arising from using Aflasafe, for better health and increased income and productivity. 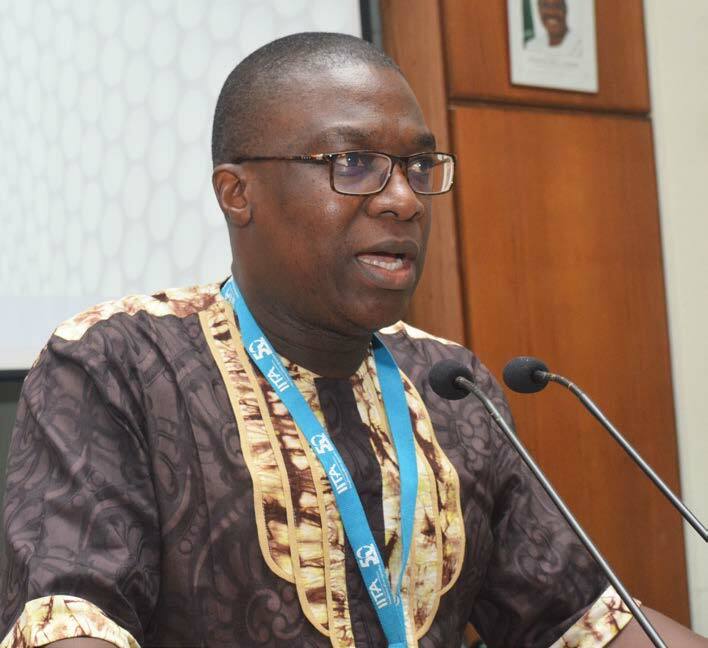 While highlighting the importance of incentivizing the private sector, Akande said: “The project started with 4 implementers, and now has 32 implementers driving the adoption and application of Aflasafe among smallholder farmers. By way of motivation, this project has made it possible for the implementers to access up to $650,000 incentive as at last year, and will be given $1.4 million this year as a result of their good performance. Aside from that, this has been a great contribution to the Nigerian economy which is diversifying from a mono-economy of oil to the agriculture-based economy. Without quality products like Aflasafe, we may not be able to diversify as is expected of us as a nation,” he added.